The highly anticipated two and a half hour meeting between the United States, Donald J. Trump, and President Xi Jinping of China concluded with a highly successful. US President agreed that “he will leave the tariffs on $200 billion worth of product at the 10% rate, and not raise it to 25% at this time” the White House said. Both parties agree that they will endeavor to have this transaction completed within the next 90 days. If at the end of this period, the parties are unable to reach an agreement, the 10% tariffs will be raised to 25%. China agreed to buy a very substantial, amount of agricultural, energy, industrial, and other product from the United States and also agreed to immediately begin negotiations on structural changes. 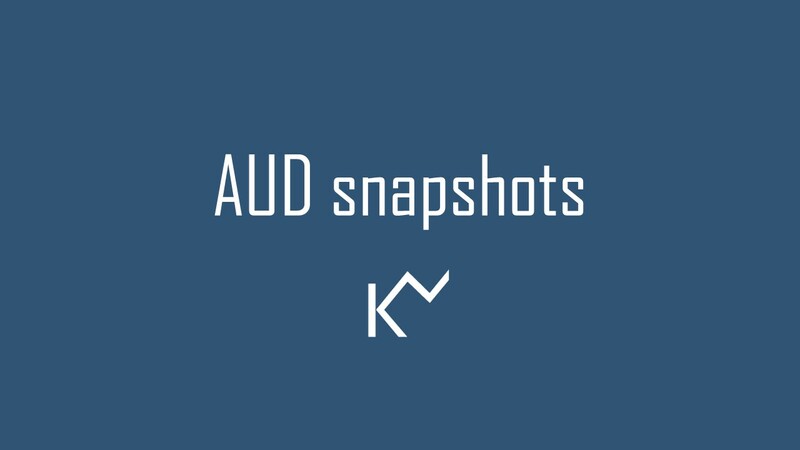 Following the productive meeting, the Australian and Kiwi dollar rallied nearly a percent on early Asian bid, overall AUD leads. We expect a big bounce in Soybean prices followed by Wheat and Corn in the commodity market. The deal between the US-China is good news for the EM currencies and commodities. This morning Brent up by more than 5.00% pauses at 14MA and Copper up by 2.00% and pauses at 200EA. The thaw in US-China trade tensions should give risk appetite a short-term boost early next week; commodities, equities, emerging markets, and growth-sensitive currencies like AUD and NZD should all see fresh support early in the week (amid a heavy run of data and event risk for Australia including the RBA and Q3 GDP), Westpac says. While we should expect bumps in the road, we continue to look for a deal next year and odds are rising it could come as early as the end of Q1, Danske Bank says. On the other hand, Critics, noting the lack of specificity about what China committed to do. “To this point, the Trump administration trade approach to China has been sound and fury, accomplishing nothing,” said Derek Scissors, an economist with the conservative American Enterprise Institute. “It appears to be a loss for the president. He sets a deadline for tough tariffs, backs off and gets more empty talk.”USAToday Reported. If you have been trading on risk sentiment currencies like AUD and NZD, the Aussie dollar is undoubtedly on the radar. 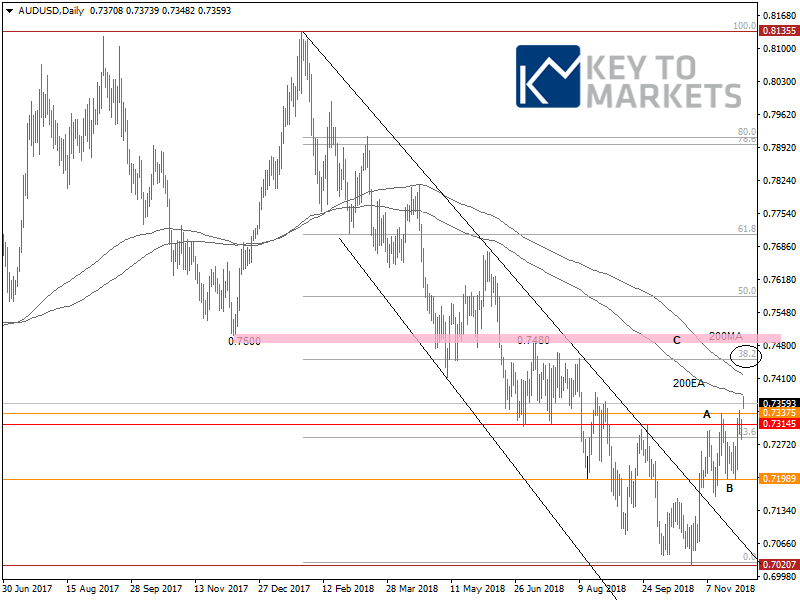 AUDUSD rallied a percent this morning but paused at 0.7375 against the resistance 0.7380 its 200EA followed by 0.7420 its 200MA and 0.7450 its 38.2% fib reaction of 0.8135-0.7020 retracement. Supports located at 0.7340, 0.7310 and 0.7280. The technical picture looks bullish this week unless RBA sends a dovish tone in this week’s Monetary policy review meeting and NFP data supports the USD again. AUDNZD- central banks divergence supports the cross bulls. EURJPY- Supply zone remains between 126.30 and 126.60 levels.